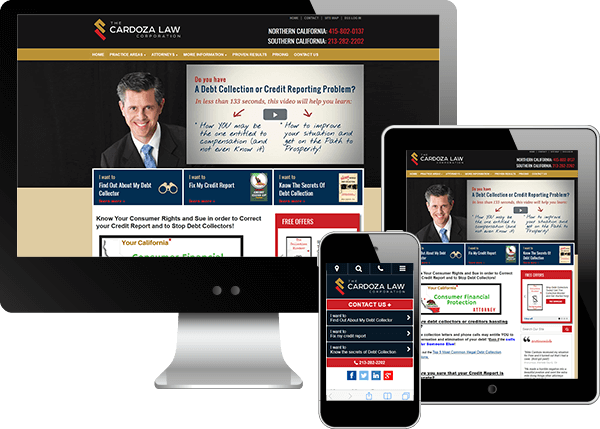 Mike Cardoza, founder of the Cardoza Law Corporation, initially came to us for a new website. That website launched with Foster Web Marketing in the summer of 2015, but Mike was motivated to do more. “I was just in the start-up phase,” Mike remembers. “My site had just launched and was barely built out. I was coming from ground zero.” Although he was a committed do-it-yourselfer, he knew he had a lot of work to do. As he worked on his digital marketing strategy, Mike was very proactive. He wrote a book, developed email campaigns, and polished his online brand image. He nailed down his processes for business administration and made sure he was working from a solid business foundation. In the process, he also started doing monthly calls with Matt, one of our SEO experts, to check in on his progress. While he had already made a great start on his own, these calls would end up making a huge difference in the long-term success of his digital marketing efforts. With Matt’s guidance, Mike was seeing measurable results and increased traffic to his website by the beginning of 2016. The next step was to find a way to continue that coaching in a more concerted, formalized, and focused way. Since Mike had clear goals and was already a motivated DSS user, Tom suggested that he would be a perfect fit for our Strategic Consulting program. Mike agreed, and he began his Strategic Consulting calls with Jamie Kelly at the beginning of October 2016. For example, Mike often approached Strategic Consulting calls by thinking out loud, and Jamie would help narrow down and develop those ideas. 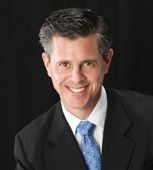 At the time, Mike’s main focus was promoting compelling content and offers for his law firm, and he had the benefit of an in-house video studio. With Jamie’s guidance, Mike would produce his own videos each month and develop further content around the same theme or topic. Jamie would discuss the content with Mike and advise him on how to make adjustments and improvements with SEO in mind. Together, they planned out a long-term content strategy that would bring in results. Jamie also suggested ways for Mike to bring his content and offers to a larger audience and improve his reach. Jamie helped Mike develop new strategies, reassured him that he was doing the right thing, and suggested better methods that Mike might not be aware of. Together, they focused on tackling Mike’s biggest priorities and working though it all steadily and efficiently. While Jamie offered advice and helped with optimization tasks, it was mostly Mike implementing strategies and doing the work. “I was getting new tips, new tricks, and more accountability with each call,” Mike says. “It started making everything make sense.” With guidance from Strategic Consulting, he was fleshing out his website with “evergreen” content that was driving toward a strategic end. The result was better quality leads and better conversion rates. In short, Mike has had an explosion in leads and business growth over the past year. He added an attorney to his practice to keep up with the demand and has partnered with outside attorneys. In fact, his main problem now is that he has too many leads and can’t give them all the attention they deserve! The past year isn’t the end of Mike’s success story, and he has plans to harness his incredible growth and continue to drive success. In 2018, Mike is looking at continuing to promote his offers and videos, adding new offers, and further expanding his reach with Facebook and YouTube ads. He is so busy that he has outgrown the Strategic Consulting program and may expand into a more robust marketing services program through Foster Web Marketing. His goals in the new year are to continue to grow leads until it’s more than he can handle and improve the efficiency of systems that will suit his current needs and offer room to grow. “Digital marketing started out as something I read about. Then, it was something I did. Now, it’s something I know,” Mike says. You can do it, too. Do you need a digital marketing edge—or an education? Contact our experts today, and let’s talk about how Strategic Consulting might be the right fit for you.